Do you have a hot water on demand unit? Or are you looking at getting one? 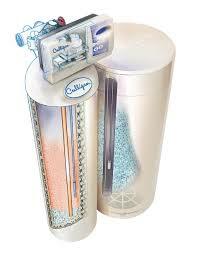 Please be mindful that hot water units need a Culligan Water softener system. They go hand in hand. When hard water passes through a water heater, the calcium and mineral deposits build up a residue that prevents the water heating element from heating the water efficiently and the heater can then break. Check your Warranty, some hot water on demand units’ warranty is voided if you don’t have a water softener. Bottom line: Culligan Water softeners help prevent mineral deposits making all your appliances and whole home work more efficiently. When installing a Hot Water on Demand unit please take into consideration that you’ll need 1” gas line. Copyright © 2018 Culligan of Fort McMurray. All rights reserved. Website design by VendCentral.